There will be an introit (I think) and also a short anthem. The name of the introit isn’t listed in the bulletin. The opening hymn is “I Sing the Mighty Power of God,” hymn no. 288. We last sang this hymn on October 9. Isaac Watts wrote the words in 1715. The tune dates from 1784. Published in a chapel hymnal for the Duke of Würtemberg (Gesangbuch der Herzogl, 1784), ELLACOMBE (the name of a village in Devonshire, England) was first set to the words "Ave Maria, klarer und lichter Morgenstern." During the first half of the nineteenth century various German hymnals altered the tune. ELLACOMBE is a rounded bar form (AABA), rather cheerful in character, and easily sung in harmony—according to the Psalter Hymnal Handbook (by Emily Brink and Bert Polman, 1998). Isaac Watts was born in Southampton, UK, on 17 Jul 1674, and died at Stoke Newington, UK, on 25 Nov 1748. He wrote 750 hymns, many of which are still sung today. His parents were not members of the Church of England, so, because of the Uniformity Act of 1662, Watts was not allowed to attend Oxford or Cambridge. 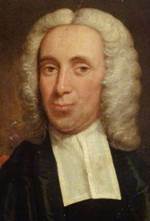 The father of Isaac Watts was a leader of Protestant dissenters and ran a boarding school in Southampton. He spent several periods in jail for his non-conformity. Even before Isaac Watts could speak plainly, he loved books. He began to learn Latin at the age of four. He also learned Greek and studied Hebrew. He started writing verses or poems at the age of seven or eight. As he was excluded from the colleges, in 1690, at age 16, he went to London to be educated by the Rev. Mr. Thomas Rowe. The Improvement of the Mind: Or, A Supplement to the Art of Logick: Containing a Variety of Remarks and Rules for the Attainment and Communication of Useful Knowledge, in Religion, in the Sciences, and in Common Life, 2 ed., London, 1743.
http://youtu.be/fasFvlEH8-E “The Mighty Power of God” by Team Strike Force of the Mars Hill Church in Seattle. The choir anthem, a delightful quodlibet (“What Does the Lord Require?”) with music by Jim Strathlee, will take place immediately after the Old Testament reading, Micah 6:1-8, (Micah 6:8 being the words of the anthem). And he will argue it with Israel. how have I made you tired of me? Answer me! and bow down before God All-high? with calves one year old? with ten thousand streams of oil? and what Yahweh wants of you. 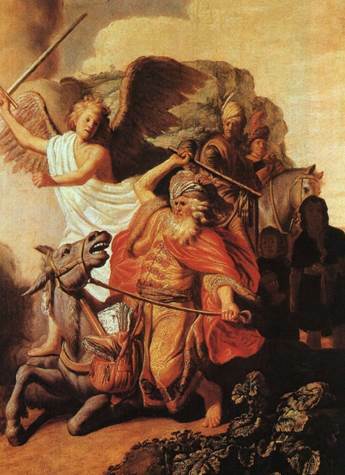 I left out the verses about the story of Balak, the son of Zippor, king of Moab, who sent for Balaam, the son of Beor, to curse the Israelites as they approached Canaan (Micah 6:5). how Balaam son of Beor responded to him. so you might acknowledge that the Lord has treated you fairly. 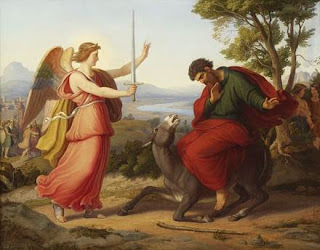 The Numbers version of the story is fairly detailed and includes the fabulous bit about Balaam, an angel of God, and Balaam’s talking donkey, Numbers 22:22-35. The choir will then sing the short anthem. The gospel reading is Matthew 5:1-12, the Beatitudes from the Sermon on the Mount. (“Beatitude” is from the Latin noun beatitudo which means “happiness.”) Jesus teaches the people that happiness cannot be achieved through the exertion of force or the demonstration of power. Happiness comes through humility and love. The beatitudes aren’t entirely clear about when those who meekly surrender will actually experience this happiness. One verse says “your reward is in heaven,” though I suppose knowing that there will ultimately be a reward might make a person, who is confident that that is indeed the case, happy in the present. Do the Beatitudes mean that no one should have used force against Hitler and Nazism? The second hymn is no. 335, “Though I May Speak with Greatest Fire.” The words are by Hal Hopson. The choir has sung anthems by Hal Hopson (“Jesus Took the Cup” and “All Earth Rejoice with Gladsome Voice,” and others). The tune is the well-known O WALY WALY. Here is the tune played on bagpipes by the massed bands at the Edinburgh Military Tattoo. They start the tune on the smallpipes, then we hear the Great Highland Bagpipes of the massed bands. “Waly Waly” means “wail, wail” or “woe is me.” From Wikipedia: “The imagery of the lyrics describes the challenges of love: ‘Love is handsome, love is kind’ during the novel honeymoon phase of any relationship. However, as time progresses, ‘love grows old, and waxes cold.’ Even true love, the lyrics say, can ‘fade away like morning dew.’ "
Where me and my love wunt to gae! That he staid in bower too lang wi' me. 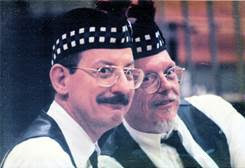 John and I have actually played highland bagpipes in a military tattoo ourselves--at West Point. On 26 Apr 1998, we participated in the West Point Pipes & Drums 19th Annual Tattoo, West Point, NY, (and I have the T-shirt to prove it). We even played in the massed bands at the end. We didn’t play “O Waly Waly” though. Here is “Though I May Speak with Bravest Fire” sung a cappella by the Haynes Sisters. “Dear Lord and Father of Mankind,” hymn no. 345, is the closing hymn. 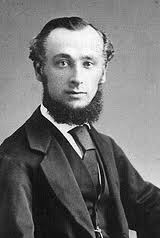 (If one doesn’t like the male-oriented language, one can instead sing “Dear Lord, Creator good and kind.”) The words are by John Greenleaf Whittier. Barefoot boy, with check of tan! 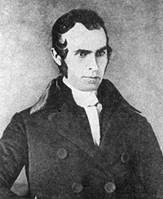 John Greenleaf Whittier was a Quaker who was born in the country in Massachusetts on 17 Dec 1807. As a farm-boy, he may have once been a bare-foot boy himself. His first poem was published in 1826, when he was 19. He was a strong abolitionist and wrote anti-slavery pamphlets and poems also. He edited newspapers in Boston and Hartford and was a founding member of the American Anti-Slavery Society. As a Quaker, he believed that slavery should be gradually abolished through political changes, which caused him to fall out with those who demanded “immediate and complete emancipation of all slaves.” He didn’t write “Dear Lord and Father of Mankind” until 1872. His best known poem is said to be “Snow-Bound,” but I remember “The Barefoot Boy.” He died in Hampton Falls, New Hampshire, on 07 Sep 1892. Whittier, California, is named for him. The words of “Dear Lord and Father of Mankind” are taken from a much longer poem, “The Brewing of Soma” beginning at the twelfth stanza. In the U.S., the hymn is usually sung to REST by Frederick C. Maker, though if you watch it sung in Great Britain, it is almost always sung to C. Hubert H. Parry’s REPTON. 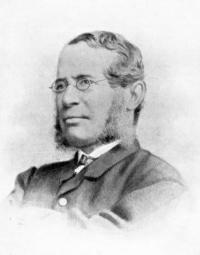 Frederick Charles Maker (b. 16 Aug 1844, Bristol, Gloucestershire, England; d. 01 Jan 1927, Bristol) was the organist for several non-conformist churches in Bristol: the Milk Street Free Methodist Church, Redland Park Free Congregational Church, and Clifton Downs Free Congregational Church He was also Professor of Music at Clifton College. Frederick C. Maker also composed the tune for “Beneath the Cross of Jesus,” ST. CHRISTOPHER. The prelude, offertory, and postlude were published in 1916 in Ecclesiae Organum : a Book of Organ Music for the Church Service. We last heard these pieces together at the service held on 19 Oct 2014. The offertory is “Meditation-Religieuse” by W. Schütze, which we also heard on 27 July 2014. I’m sure that W. Schütze’s work of the same name will be free of any “religious eroticism,” though I’m not sure I’d recognize it if I heard it. I wasn’t able to find out much about W. Schütze. He seems to have been a director of church music in Alt-Döbern, Germany, in the nineteenth century.